Gracefully age to a marvelous 900 years in this Star Wars Classic Ben Cooper Adult Yoda Mask! Your wisdom gleaned from nine centuries of living within the galaxy will stupefy and amaze all those around you! 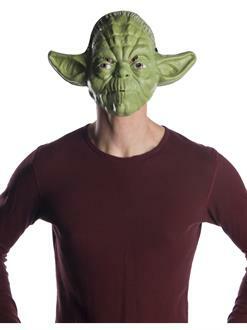 Just slip on this finely detailed mask, creased with lines of wisdom and maturity, for an authentic Yoda look!